If you love TV technology, you probably remember the growing pains of every phase flat-panels have been through over the last decade. First was the “dieting” phase, where bezels and everything got thinner—but every gadget does that. Next, you had the awkward, fumbling first attempts at internet-connected smart TVs, and then a big industry wide push for 3D movies at home. Over the last couple years, 4K/UHD has moved from buzzword to mainstream, and has been replaced by yet another confusing acronym: HDR. Unlike certain smart TV iterations and gimmicky 3D, nothing is going to come along and usurp 4K. It’s not so much a format or feature as it is a natural extension of TV evolution. The average screen size keeps going up, but eventually you’re bucking up against traditional room size. The idea to quadruple the pixel count may seem like the biggest gimmick yet, but it’s not so much an end as a means. As it turns out, 4K resolution was more of a red carpet rolled out to set the stage for something much more impressive. 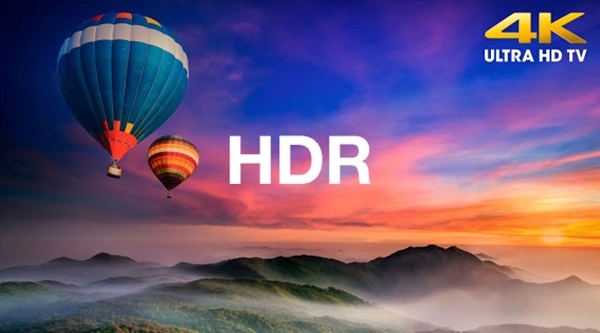 HDR has grabbed the spotlight as another addition to 4K. When manufacturers and TV installers/dealers talk about HDR, there’s a big desire to educate consumers. But a phrase I keep hearing is “not just more pixels, better pixels.” Manufacturers and content providers keep saying, “4K was more pixels, HDR is better pixels.” It totally sounds like it could be yet another hollow marketing catchphrase. This time, however, it’s actually spot-on.